College was established in the year 1980 under Rajendra Agricultural University, Pusa, Bihar. Faculty of Forestry was started in 1981 at Birsa Agricultural University, Kanke, Ranchi. It caters to the need of Education, Research and extension in forestry in Jharkhand State. The mission of the faculty is to develop technically qualified forestry professionals with sufficient skills to manage, conserve and develop diversified forestry resources and products leading to environment and livelihood security. Faculty of Forestry Birsa Agriculture University, Ranchi offers various graduate courses as well as Post Graduate courses. 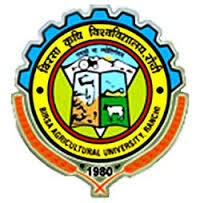 Faculty of Forestry Birsa Agriculture University, Ranchi is affiliated to Birsa Agricultural University (BAU), Ranchi. List of facilities available at Faculty of Forestry Birsa Agriculture University, Ranchi for students.